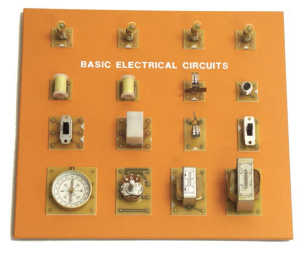 Basic Electrical Circuits is designed as an introductory laboratory course in electricity. 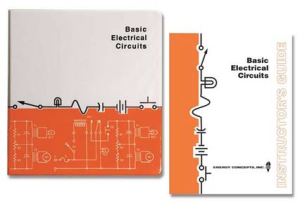 The course provides a broad introduction to electrical circuits without overemphasizing mathematical formulas. Hands-on laboratory experiments allow the student to learn basic concepts and gain experience in building a wide variety of circuits. The use of the ECI circuit panel allows construction with a maximum of flexibility, and requires only bell wire for all circuit connections. 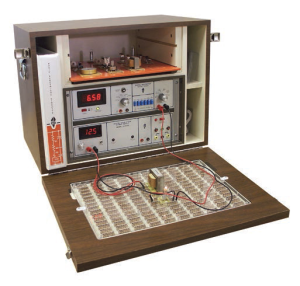 The Model 210S Training System “Basic Electrical Circuits” is complete with laboratory manual, instructor’s guide, mounted components with storage board, un-mounted components, and all materials necessary to support the course content. All major components for the 210S training system are keyed to an organized storage board. Imprinted outlines of components with schematic symbols permit quick inventory and reinforce student knowledge of schematic symbols. 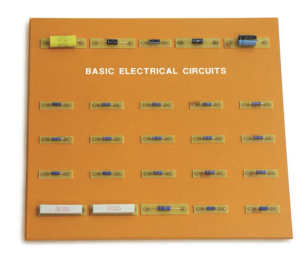 Storage boards are color-keyed to the system lab manual.